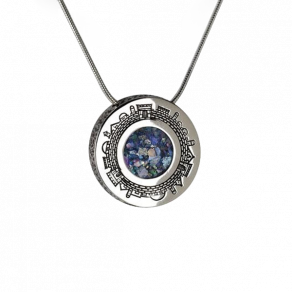 This beautiful sterling silver pomegranate pendant reads “Bless Israel” and contains a dazzling purple amethyst stone. 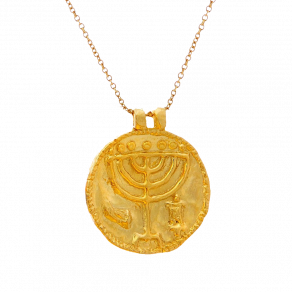 Crafted by artist Sarah Feld, this unique pendant is perfect for all who love and support Israel. And I will bless those who bless you...and all the families of the earth shall be blessed in you. Over the course of history, this verse has proven to be timeless. 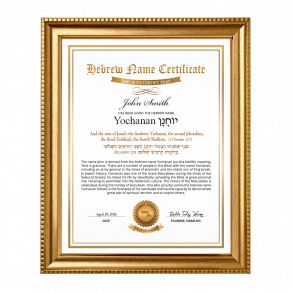 Those who bless Israel will be blessed, and the nations of the world will "be blessed in you." 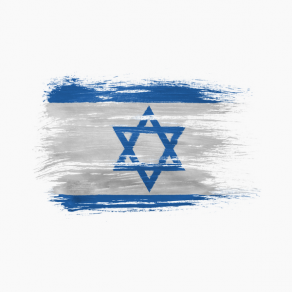 The modern fulfillment of this Biblical promise is the State of Israel which in so many ways is indeed a great blessing and model to the entire world and all of the nations. Proudly wear this pomegranate shaped pendant and demonstrate your support for Israel and the Jewish people. 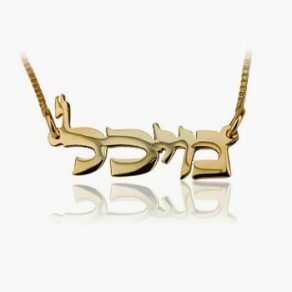 Do you have this item with hebrew instead of english? Thank you!!! 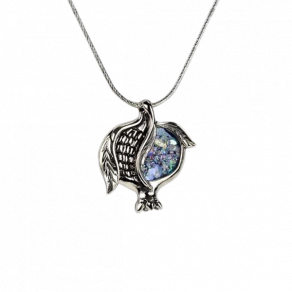 Such a Beautiful Necklace very pretty love the purple stone in the center the necklace is silver with that purple stone in the center makes it look very attractive. I would recommend this necklace to any woman you will love it. Kimberly C.